One of the forgotten heroes of American history is Sarah Breedlove, a.k.a. 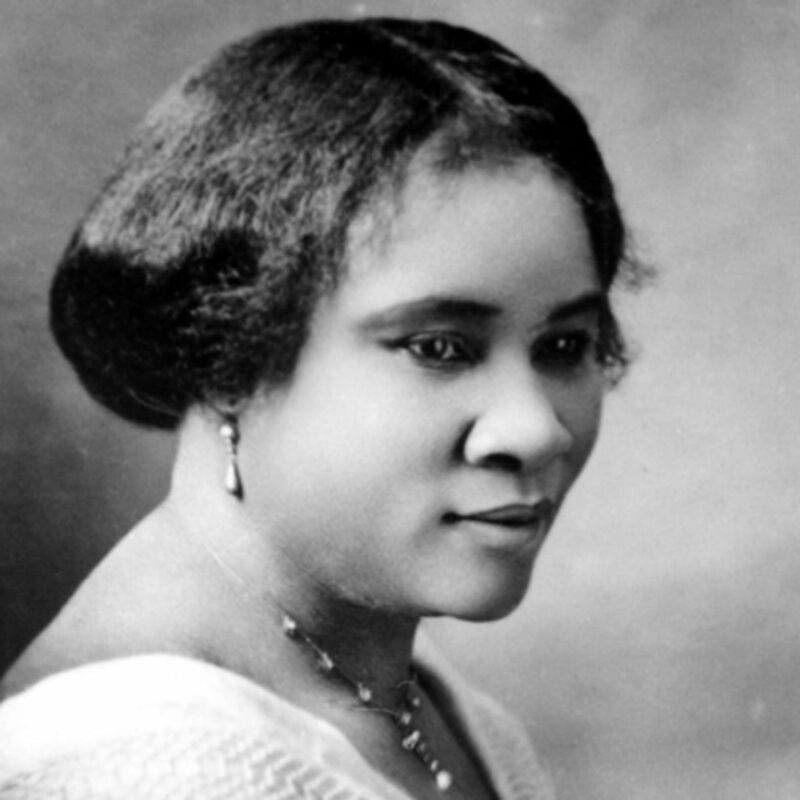 Madam C. J. Walker (1867-1919). Ever heard of her? After suffering from a scalp disorder that resulted in her losing much of her own hair, Madam Walker created her own specialized hair care products in 1905 and sold them door-to-door. She was an entrepreneur, who established Mme. C.J.Walker Laboratories and Mme. C.J. Walker Manufacturing Company, and who, in time, established the first black-owned business in America, which caused her to become the first self-made, female millionaire in America. What an incredible African-American success story! What a remarkable American story! In a way, she sounds just like Dr. Martin Luther King, who said, “Every man must write with his own hand the charter of his own Emancipation Proclamation.” This amazing women was inspired by Booker T. Washington, who “called for black people to lift themselves up by developing skills, working hard, and emphasizing good character” (PBS). As a result, Walker “transcended poverty, illiteracy, and prejudice to become one of the most important businesswomen in America” (PBS). And, moreover, she used her success to bless thousands of people with jobs and donated a great deal of her profits to organizations that worked to improve countless lives all over America. Unfortunately, this remarkable woman is left out of the history books. Why? Because she proves that self-determination, personal responsibility, hard work, perseverance, and character breed success in a free society. And the values she lived then can still be lived today. All of us, in America, are a minority of one and how we succeed or fail depends on our own efforts. The choice, as always, is ours. The Wilson NC Tea Party is a grassroots, non-partisan movement for liberty and freedom that crosses racial, denominational, and political party lines. We are Independents, Libertarians, Democrats, and Republicans. We are black, white, red, brown, and yellow. We are Catholics and Protestants, young and old, male and female and we are unified around the Judeo-Christian principles and values of our founding. We are bringing “our lives, our fortunes and our sacred honor” to the table to be a grassroots voice within Wilson County that stands for constitutionally limited government, free markets, and fiscal responsibility. We put principle before party and vote for those who are most aligned with our values, regardless of their political party affiliations. We put integrity and character before flowery words and polished personas. We put common sense before utopian ideals and progressive paradigms. To learn more about us and to find out how you can get involved, go to https://wilsonncteaparty.wordpress.com/about.